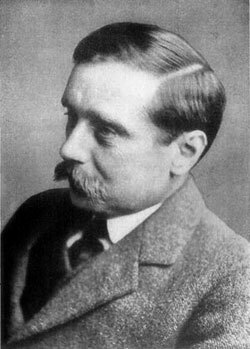 Herbert George Wells (21.09.1866–13.08.1946) is an internationally famous English author, a prolific writer in many genres, including contemporary novels, history, and social commentary, best known however for his work in the science fiction genre. Wells is often referred to as The Father of Science Fiction. Everybody knows his The Time Machine, The War of the Worlds, The Invisible Man, The Island of Doctor Moreau, etc. Herbert Wells was a contemporary of Paul Otlet, another dreamer of the global network, and the two were certainly aware of each other’s work. Wells was something of an idealist and a passionate believer in the progression of scientific and academic knowledge as a means of improving society, just like Otlet, and like him became aware and frustrated with the limitations of existing technology. 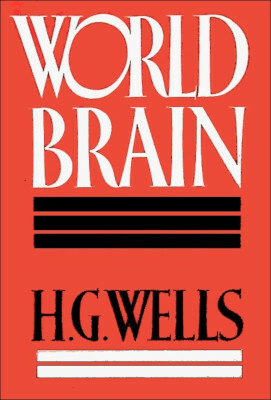 Approaching the end of his life, in 1938, Wells published a book of essays (see the nearby image of the cover), called World Brain (some of the essays were first presented with great success as speeches in 1936 and 1937), which he later on described as a book quite bold and uncompromising in substance, but still with a distinctly propitiatory manner. 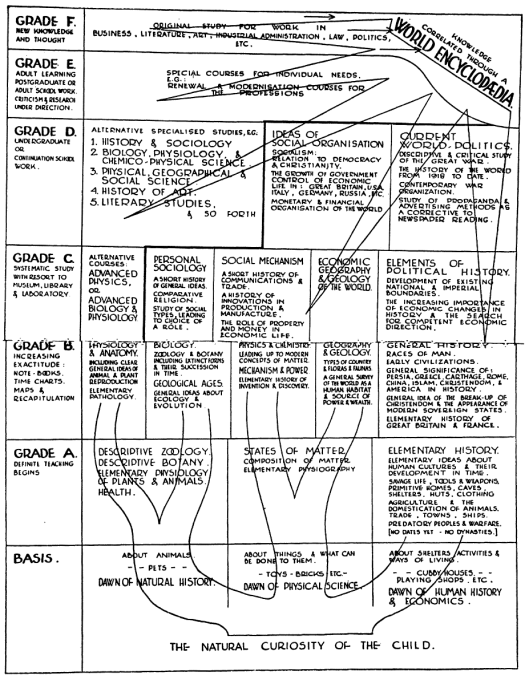 In several instances throughout the book, Wells presents his idea of a universal, evolving encyclopedia, that would help people become better informed citizens of the world. The essay The Brain Organization of the Modern World lays out Wells's vision for ...a sort of mental clearing house for the mind, a depot where knowledge and ideas are received, sorted, summarized, digested, clarified and compared. Wells felt that technological advances, such as microfilm, could be used towards this end so that any student, in any part of the world, will be able to sit with his projector in his own study at his or her convenience to examine any book, any document, in an exact replica. In the essay, entitled The World Brain: The Idea of a Permanent World Encyclopedia, an updated version of his 32 pages pamphlet from 1936 The Idea of a World Encyclopaedia (see the essay), Wells explains how then-current encyclopedias failed to adapt to both the growing increase in recorded knowledge and the expansion of people requiring information, that was accurate and readily accessible. Wells asserted the need for an entirely new world organ, that should be created for the collection, organization, and release of knowledge. This he called the Permanent World Encyclopedia, and it would include everything from the practical needs of society to general, global education. In addition, he explained the importance of workers whose job it would be to continually update and maintain this index of knowledge. Admittedly, Wells was a writer, not a technical genius, so he couldn't imagine what could be the technological base of such a World Encyclopedia. According to him, the micro-photography would also be vital, as it could provide a visual record of the knowledge it contains.